There’s no denying the powerful part social media plays in young people’s lives. For the majority of college students, these platforms are their main source of information. And that includes information about their job search. In fact, a 2018 survey by Yello found that 70 percent of students and recent graduates say a company’s social media presence influences their decision to apply for a job. Since your students are already taking their job search to these platforms, you need a social presence to provide them with quality information. There are thousands of career experts who currently share their opinions and advice online. If a student were to Google ‘job search tips,’ they’d immediately have pages of content. Unfortunately, not all the advice they find would be good. As a career services professional, it’s up to you to sift through everything. On social media, you can follow the best experts out there to see what advice they’re sharing. Then, you can reshare the content with your students. Instead of having to search multiple sites for quality information, students only have to turn to one place: your career services social media profile. When resharing content, be sure to add your own personality and spin on it. Instead of just clicking retweet, add a comment or question to get students thinking. This can lead to a conversation via social media that helps them define their career path goals. While it’s your professional mission to be a career resource for young people, there will always be some distance between you and students. Often, your advice won’t hold as much influence as that of their peers. This is why having student ambassadors for the career services center can help you reach your audience. When meeting with students, take note of individuals who would be good spokespeople. Students who are articulate, organized, and considering a leadership career make good candidates. Those who are widely involved in school clubs and organizations are also great options because of their large networks. Then, find ways for them to contribute content to the career services social media. They can record practice job interviews and give their fellow students pointers. Another route is to have them write up and share their experiences during the job hunt. These can be published as blog posts on the career services site and then shared on social media. Each class of students has its own struggles and concerns. If you can’t adapt to those needs, it’ll be impossible to continue connecting with students. One of the best strategies to understand what information will help students on their journeys to finding careers is social listening. Social listening is a marketing term that involves helping organizations better understand their target audiences. But it can also be used by career services professionals. The trick is to follow students on social media and look for trends in their activities. Pay attention to what types of career content they are sharing and engaging with. For example, if a blog post on telecommuting goes viral on campus, you know that’s a popular topic for the students. Then you can find additional content and resources about the subject to share on social media. Students get the information they want, and the career services center gets more engaged followers. Most students aren’t on all social media platforms. But the ones that tend to be the most popular with young people — Twitter and Instagram — rely heavily on hashtags to curate content. To make the most of these platforms, you need to understand how hashtags are used and which ones will appeal to your students. The first step is researching general hashtag usages that you can include in your posts. Search phrases like #careeradvice or #jobsearch to see if those are popular and associated with the type of content you want to share. Otherwise, you might end up incorrectly using a hashtag. Also, develop unique hashtags that students can associate with your career services center. For example, when every you hold a job fair on campus, post photos of the event on Instagram using a designated hashtag. This way students can easily find the images and see what’s going on and be encouraged to attend, as well. 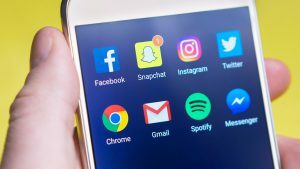 The post Social Media 101: How Career Counselors Can Better Reach Students appeared first on Blog Job Hunting Career Management Solutions | CareerShift.